It is difficult to imagine the World without flowers. How dull our lives would be if they did not exist. 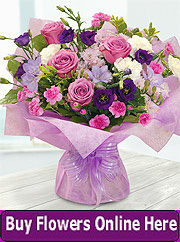 Flowers have always enhanced our environment with their spectacular colours, shapes, textures and wonderful fragrances. Not content with availability outdoors we also cultivate them indoors and even harvest them for display in our homes and elsewhere. 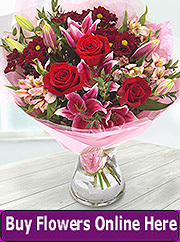 Flowers are the propagation organs of plants and contain the male and female reproductive parts. 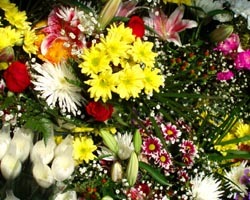 Indeed flowers are generally made up of several important parts. The bottom of a flower is surrounded by petals. Sepals are a particular types of leaves that protect the bud, or the flower before it blooms. Sepals may look like leaves or may be highly decorative with vivid colours. The petals are inside the sepals and when the flower blooms the sepals fold back and disappear behind or under the blossom. Petals, which form the corolla, are also a type of leaf but come in a huge range of colours. Petals with their attractive colours and strong scents, on the one hand, protect the reproductive organs of the flower, but also attract pollinators such as bees and birds. The reproductive parts of a blossom are the pistil and the stamen. They are normally contained within the petals. The pistil is the female reproductive organ and the stamen is the male organ. In most situations there is usually one pistil that is surrounded by a number of stamens. Stamens are made up of filaments and anthers. The anthers that sit on top of the filament generate pollen. At the centre of the corolla is the carpel, or ovary, that contains the stigma, the style and ovules. A flower reproduces when it is pollinated when a grain of pollen lands on a stigma. The fertilised ovules become plant seeds. Each carpel then develops into a fruit that houses the seeds of the next generation of plants. The fertilised seeds depend upon various methods of dispersal including birds and animals, wind, explosion, and water. Domesticated plants are harvested by hand for onward distribution.